Conjure Perfume Spray & Conjure Perfume Magic! 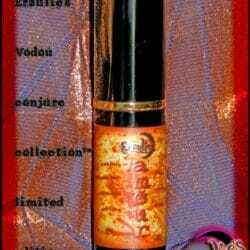 Vodou Esprit Perfume Oils and Conjure Perfume Sprays: For Voodoo spells and conjure magic! Conjure spirit, spiritual support and bring forth the blessings of the Divine in any matter with this exotic, ethereal and aromatic magical perfume. Vodou Esprit perfume oils are handcrafted using precious oils of Angelica Root, exotic Balsams, Madagascar Vanilla Absolute, Benzoin, Bergamot, Labdanum and Galbanum for a deep, mystical and fragrant combination. 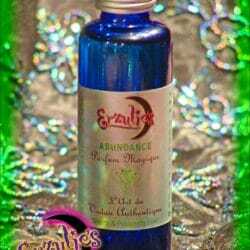 Simply spray this exotic perfume on your body to draw blessings, support and spiritual power into your life. 1/3 oz. Perfume Spray with Gold & Metallic Labeling.